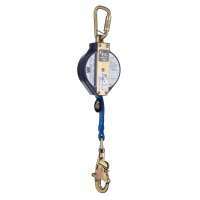 If you are working at height or in a confined space you need a highly reliable fall protection system. 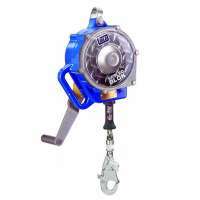 At Resmar we have a number of extremely well designed fall arrest units made by highly respected manufacturers such as Abtech, Ridgegear and DBI. Fall Arrest Blocks There are 5 products. When you need to work at even greater heights, the danger of falling is even more serious. You need a recovery system that will not only stop your fall in time but also do so in a controlled way so that you will not be injured by the sudden breaking effect, which in itself can cause serious injuries, making escape or recovery even more difficult. 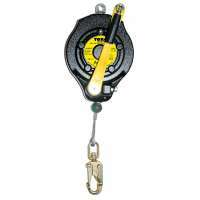 These units conform to and often exceed modern safety regulations and are manufactured from highly durable and lightweight materials. Designed to be anchored from above, these units allow controlled deceleration in the event of a fall to avoid injury and automatic braking. 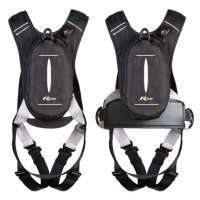 Here you can see and compare at a glance some of the outstanding safety features these fall arrest nits have to offer. 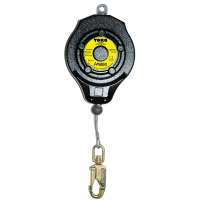 (BS EN 360 and BS EN 1496, maximum user weight of 150 kg. weighs 10.4 kg. We have many years experience in the fields of fall arrest, working at height and confined space entry and we are happy to discuss your individual requirements.